Found this little critter in our house garden yesterday at Roma, Queensland. Only a youngster, it is a Narrow-nosed Planigale and only the second we’ve found in the sixteen years we’ve been gardening here. 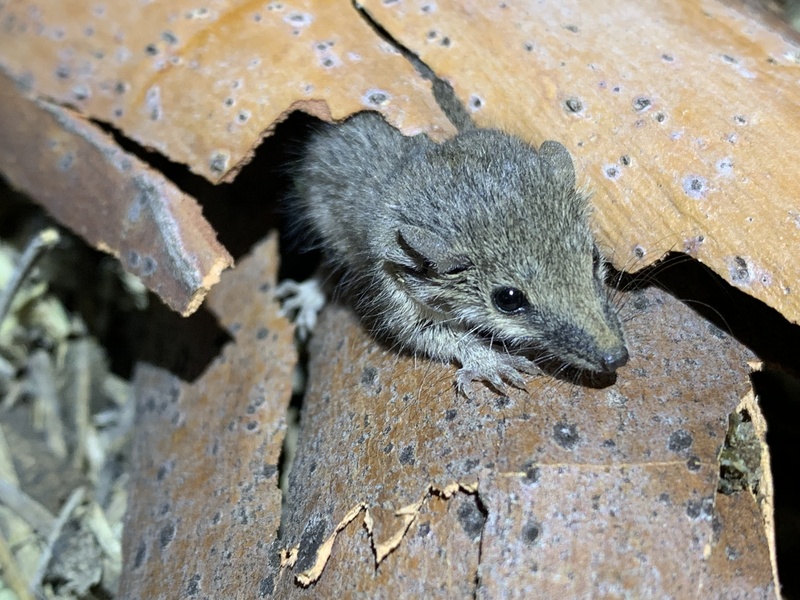 With an adult fitting comfortably in a matchbox they weigh less than 10g and are one of the smallest marsupials in the world. Common across inland eastern Australia they are one of Australia’s many nocturnal animals. Fast and nimble this voracious little carnivore stalks its prey before pouncing to make the catch. Its sharp teeth generally make quick work of its captures which includes insects such as centipedes, scorpions, spiders, grasshoppers, moths, beetles and even small lizards. Size isn’t a great issue for them as they seem to have no trouble wresting centipedes or scorpions much bigger than themselves. In the circle of life they in turn become prey for larger animals such as snakes, large lizards and very commonly owls. We often find their skull and/or jaw bones in owl pellets collected during ecological surveys. Preferring to live in areas with cracking clay soils they can be found on a range of land types including tussock grasslands, Mitchell Grass downs, low shrublands, woodlands, gibber plains and floodplains. Their relatively flat head and body helps them to easily fit down soil crevices or cracks, where they spend most of their time during the day and often chasing insects at night, as well as on the soil surface. We’ve even seem them come out of spider burrows. In the wild they are believed to only live for one to two years. Females can produce up to two litters of young per year, generally between July and mid-January following an approximate 19 day gestation period. They have an average of six young each litter. After being born the young climb into their mother’s pouch and attach to a teat for around 40 days before emerging. They become fully weaned when they are about three months old. 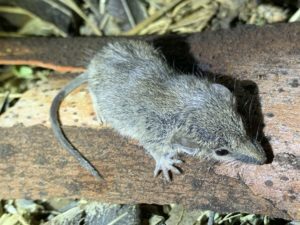 So the next time you’re gardening or digging a hole keep an eye out for these little native creatures and don’t confuse them with the common house mouse. They are real treasures to have about.